I love to dabble and explore with many forms of design. I'm a serial maker and producer. I've done graphic design, branding, published books, and been a photographer. Now I spend my time consulting for digital product innovation and development, and running neat games, a boardgame publishing company! 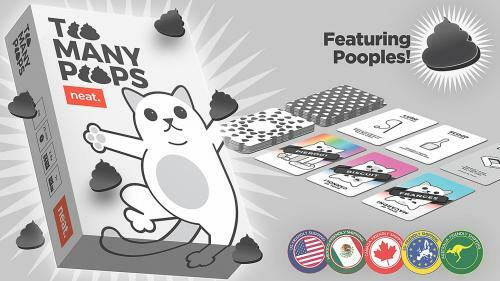 Become the ultimate cat owner—or poop out trying—in this light, fast, and highly interactive 2-6 player set collection card game!